03 Oct 2018 --- The edible insect industry is growing rapidly with many new healthier and sustainable products appearing on our shelves. The makers of processed food containing bugs mostly use crickets and mealworms from farms in Canada, US, Netherlands and Thailand. 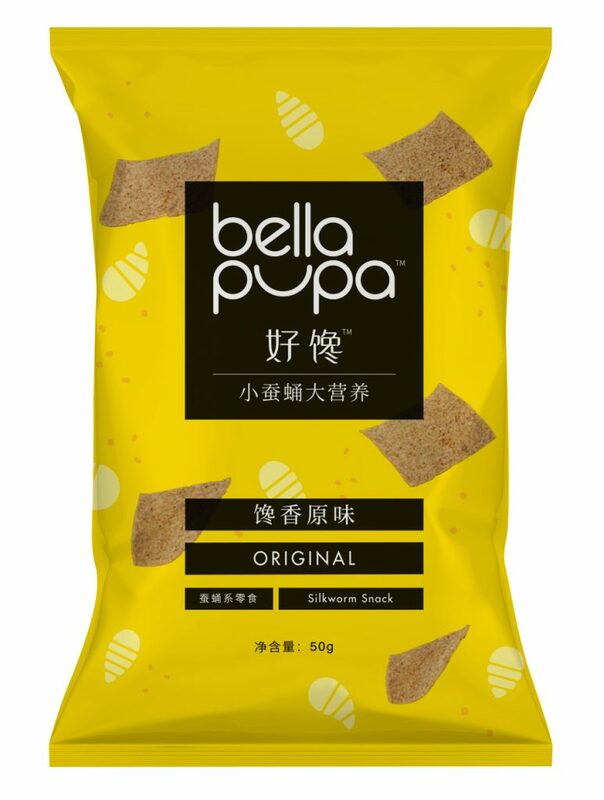 Until now, only Bugsolutely has considered the potential of silkworms and the company has launched the first silkworm snack in China, called Bella Pupa. Silkworms are a byproduct of the silk industry and are fed only with leaves from mulberry trees – a perfect circular economy. The 500,000 tons produced every year in China (75 percent of the worldwide production) are highly underutilized: mostly used as feed for animals, after the silk is reeled from the cocoon. This is despite silkworms being a superfood like crickets and mealworms. They are packed with fiber, vitamins, minerals and protein. Bella Pupa is unique, according to Bugsolutely. It is the world’s first snack product containing silkworm powder (20 percent) and it is also the first edible insect product to be made in China. “We are really excited: after one year of R&D, we have a yummy snack with very good nutritional values. The product won the Innovative Award from the Food and Beverage Innovation Forum,” affirms Massimo Reverberi, Founder of Bugsolutely. “Edible insects make sense if farmed for food safety and for reasonable costs through industrial factory farming. But mealworms and crickets, the most common farmed insects in the West now, have never been farmed in large quantities, while silkworms have been reared for 5,000 years, for the silk. Globally, 750,000 silkworm pupae are farmed annually (15 percent more if we include the weight of the cocoon, in other words, the silk). 75 percent of the silkworms are farmed in China. There aren’t official statistics, but clearly, only a small part is eaten (and exported frozen to Thailand, Japan and South Korea, where silkworm pupae are considered a delicacy as well as in many Chinese provinces). The larger portion is dried and used as feed. And the lowest quality worms are used as fertilizer or waste,” he states. Snacks is a fast-growing category, according to Reverberi. “There is an opportunity for edible insects to tap this industry, adding the value of taste, sustainability and nutritional properties. Also, silkworm powder is way cheaper than the very expensive cricket powder (US$120 per kg in Europe, US$50 per kg in the US, average wholesale price), which makes a foundation for a bug packaged food to go mainstream. “In China, the snack market is said to be US$90 billion by 2019, and the healthy snack category is growing faster than the other snacks,” he claims. To create the new snack, Bugsolutely engaged Mill Food Intelligence, a leading food design firm. After 48 prototypes and a number of consumer panel tests, a surprisingly delicious snack was born. 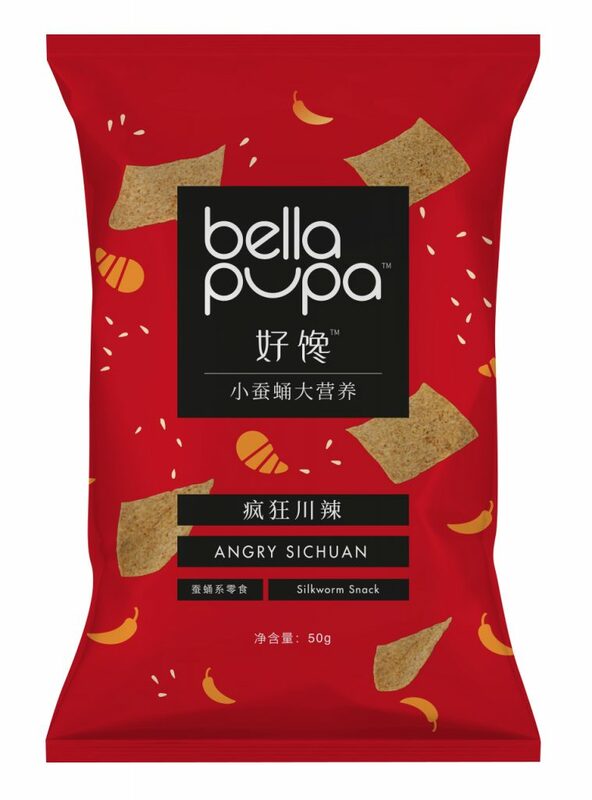 The product will initially be available in two flavors: Original and Angry Sichuan. “We are planning for at least five flavors. The request is aligned with large retailer expectations. 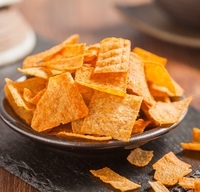 We tested the initial two flavors with a panel of Chinese consumers, but we had some informal tastings in the west (for example, at Seeds & Chips International food innovation fair) and the feedback has been very positive, too,” he says. “While Bugsolutely Cricket Pasta has been designed for western palates, Bella Pupa is universal. Chips are well fit to be a convenience store product in any country, and it also matches the ideal target of bug eaters: young people,” adds Reverberi. “Bella Pupa caught our eyes by creating a new food category with more a popular taste and fashionable design. We think insect products will become popular snacks in the future in China,” comments Mote Chan, Media Director of FBIF (Food and Beverage Innovation Forum).